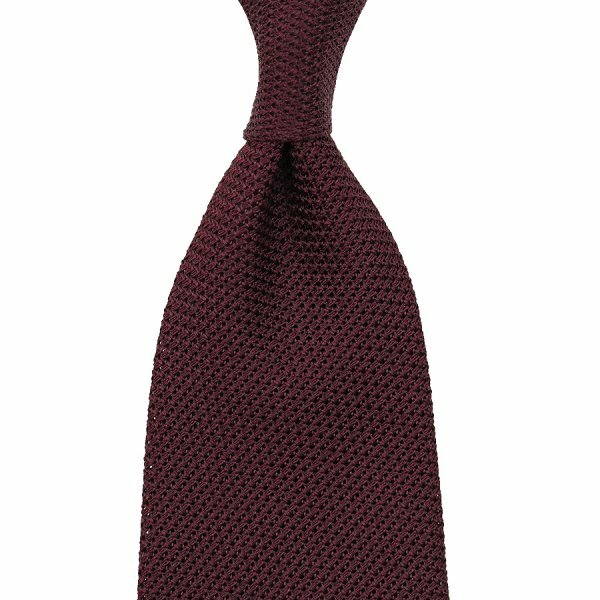 Product information "Grenadine / Garza Piccola Tie - Burgundy - Handrolled"
Finely woven grenadine silk in burgundy: an absolute classic. Perfect with business suits in grey or navy but goes equally well with more informal pieces like brown and green jackets. A simple combination: charcoal suit, white/blue striped shirt, white/blue pocket square, navy braces, burgundy socks, dark brown oxfords. A bit fancier: light brown glencheck suit, cream pocket square, brown braces, green socks, mid-brown fullbrogues. Related links to "Grenadine / Garza Piccola Tie - Burgundy - Handrolled"